What should you know about parasitic infections of the central nervous system? How are they contracted and what can you do to prevent them? Read about the symptoms and how are they treated. We don't mind informing someone that we have a bacterial or viral infection, like strep throat or influenza. Most of us, though, would hesitate before confessing we had tapeworms. Parasitic infections feel more intrusive—somehow more of a violation than other forms of infection. Surprisingly, though, a very large percentage of the world's population does have some form of parasitic infection, and it's estimated that over a billion people are infected with roundworms alone. Parasitic infections can invade practically any part of the body imaginable. Those that infect the nervous system are potentially the most damaging and the most disturbing. Not only may these conditions be sometimes fatal, but can result in lifelong disability. Early recognition and prompt treatment are important in order to reduce both mortality and the frequently catastrophic aftermath of these diseases. Toxoplasmosis is a parasite infection caused by the protozoan Toxoplasma gondii. It is widely spread throughout the world with around 15 percent of people in the US, and about 50 percent of people in Europe, having a positive antibody test for the disease. The immune system keeps the parasite in check for most of us. But in cases of immunodeficiency, such as AIDS, the parasite is able to run amok in the brain, creating circular abscesses visible on an MRI. Toxoplasmosis can cause a headache, seizures, focal neurological deficits, and mental status changes. Toxoplasmosis is an AIDS-defining condition according to the CDC, which refers to diseases that are directly related to the suppression of the immune system associated with an HIV infection. Toxoplasmosis is frequently associated with cat litter, but the case against felines may be overstated. In patients with AIDS, there is no difference in risk based on exposure to kitty litter. The preferred treatment for toxoplasmosis includes pyrimethamine, leucovorin, and sulfadiazine. If there’s any concern for elevated intracranial pressure, then steroids should also be used. As usual, it’s best to prevent the infection from ever occurring by avoiding immunosuppression and using prophylactic medication for those with compromised immune systems. Due to prophylactic treatment and antiretroviral therapy, the rate of toxoplasmosis-related infections has fallen since its peak in 1995. Neurocysticercosis occurs when people ingest the eggs of Taenia solium, a pork tapeworm whose eggs are found in human feces. Ingesting the eggs leads to tapeworm larvae growing in many different human tissues, particularly brain and muscle. This leads to seizures and more. The infection, contrary to widespread belief, is not directly caused by eating undercooked pork. When undercooked pork is eaten, the cysts can lead to tapeworm infection in the small intestine with each worm shedding thousands of eggs. It is the eggs which can lead to neurocysticercosis. When a person eats the eggs of the tapeworm (which have been shed by a carrier of the tapeworm), the worm embryo can bore through the bowel and make its way to the central nervous system or spinal cord. Symptoms may then include increased intracranial pressure, headaches, and seizures. Treatment is with albendazole and praziquantel along with steroids to reduce swelling in the brain. Prevention includes careful handwashing, avoiding contaminated meat, and making sure to eat only pork that has been cooked thoroughly. Without exaggeration, malaria is one of the most serious threats to human life throughout the entire history of mankind. Over millennia, the disease has killed hundreds of millions of people. The workings of this parasite are complex, but almost always involve being transmitted by an infected mosquito. Here we will only briefly discuss one of malaria’s several tactics in human destruction: the direct invasion of brain tissue. Cerebral malaria can cause changes in consciousness or seizures. Without treatment, the disease usually progresses to coma or death. With treatment, mortality is between 15 to 20 percent. Some survivors, especially children, can have residual deficits like blindness, deafness, seizures, or cognitive problems. Cerebral malaria is most common where malaria is endemic, such as Africa. Visitors to such regions can help prevent malaria infection with prophylactic medication and other preventative measures. Those who suffer malarial infection require immediate treatment with either cinchona alkaloids such as quinidine, or artemisinin derivatives such as artesunate. The latter is the drug of choice in severe infection. Trypanosomiasis, also called sleeping sickness, is caused by the protozoan parasites Trypansoma brucei gambiense or Trypansoma brucei rhodosiense. Like malaria, the parasite is spread by an insect host. American trypanosomiasis is transmitted by the assassin bug. African trypanosomiasis is spread by the tsetse fly, which leaves a painful, two to five-centimeter mark on the skin. A rash may also follow. After a period of time, sometimes years, the parasite spreads from the blood to the brain, leading to meningoencephalitis and swelling. A headache, difficulty thinking, personality changes, and movement disorders such as tremor or ataxia (lack of coordination) can result. The disease is fatal without treatment. To diagnose the disease, the parasite must be seen under a microscope in a sample such as cerebrospinal fluid. Treatment involves medications such as eflornithine or melarsoprol—which can have serious side effects—but they're considerably better than allowing the infection to go untreated. Schistosomiasis, also called bilharzia or bilharziasis, is caused by infection with small, flatworms called flukes. Usually, these small, leaf-shaped worms cause intestinal, liver, kidney or bladder problems. Globally, about one in 30 people carry these schistosomes, which are often acquired through bathing and swimming in freshwater lakes in which these worms live. Like many parasites, the life cycle of this organism is complex and involves many different stages. Humans acquire the infection by contact with water from freshwater lakes containing schistosomal larvae, which penetrate the skin and migrate into the blood vessels. Once in the blood vessels, they can travel through the body. The worms use suckers to adhere to the wall of the blood vessel, where they can live for up to 30 years. Most people with this infection feel no symptoms at all. Sometimes, though, an acute infection can be seen one day after exposure with an itchy rash. Two to eight weeks later, a fever can develop. Later, as the schistosomes can spread to different organs, various symptoms can occur. Sometimes, the worms spread to the spinal cord, causing a myelopathy. This results in pain, bowel dysfunction, and weakness of the regions below the level of infection. Permanent paralysis can result. In other cases, the schistosomiasis can affect the brain, leading to epilepsy or elevated intracranial pressure. Because these worms can live in the body for years, with potential for serious trouble at any time, infected persons should be treated regardless of whether they have serious symptoms. Praziquantel is the treatment of choice. If the flukes have invaded the nervous system, steroids should be given as well in order to reduce the inflammatory response. Roughly 240 million people are infected with schistosomiasis each year. Echinococcus, also called hydatidosis, is a tapeworm which, in the early stage of life, can cause cysts in living human tissue including the brain and spinal cord. The parasites which are responsible include Echinococcus granulosus and Echinococcus multilocularis. Humans acquire the infection by eating contaminated food. The disease is rare in the United States but is more common in Africa, Central Asia, Southern South America, the Mediterranean, and the Middle East. The initial stages of infection are always asymptomatic, and it may be years before the cysts cause any problems. In the brain, the cysts can cause seizures or elevated intracranial pressure. In the spinal cord, the cysts can cause spinal cord compression and paralysis. Infections of the central nervous system are relatively rare, however—usually the cysts infect other organs, such as the lungs or liver. Cysts can be found with a CT scan, but they're usually found when an imaging test is done for some other reason. Cysts may need surgical removal, often with additional medical treatment with a drug such as an albendazole or praziquantel. Trichenellosis is an infection caused by roundworms (nematodes) and is most commonly found in undercooked pig meat (though it can be found in other types of meat as well.) The infection is relatively uncommon in the United States due to improvements in food preparation. Larvae invade the wall of the small bowel and develop into adult worms. Worms then go on to release eggs that grow into cysts in muscles. When the muscle is ingested by another animal, the cycle continues. Severe trichinellosis can cause a meningoencephalitis. 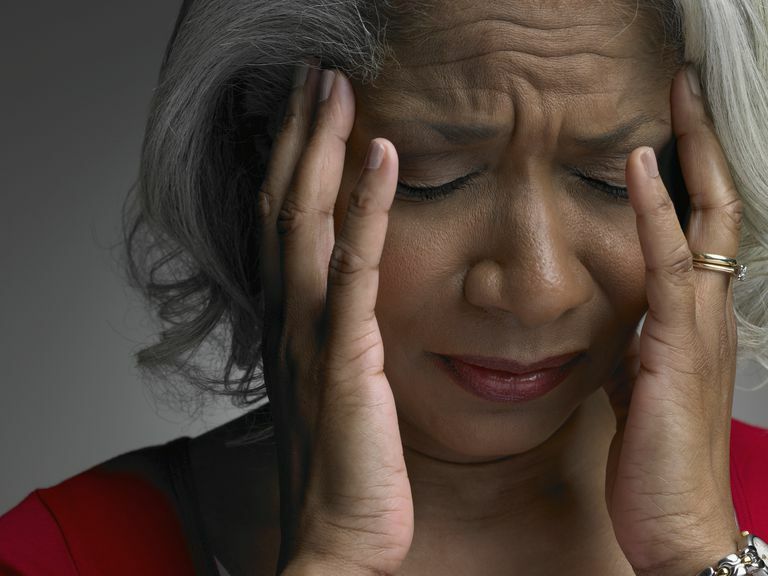 A headache is a common symptom. Swelling, strokes, and seizures can also occur. The CT can show small cystic lesions throughout the brain. Treatment is with albendazole or mebendazole, sometimes combined with prednisone in severe cases. Angiostrongyliasis is a parasitic infection caused by Angiostrongylus cantonensis, which is most common in Southeast Asia but may occur in the Caribbean as well. It is contracted from eating undercooked snails, slugs, crabs, or prawns. The larva of this parasite migrates to the brain causing headaches, nausea, and neck stiffness. In contrast to many of this parasitic infection of the central nervous system, there is no specific treatment available and the infection usually resolves over a period of four to six weeks. As unappealing as parasitic infections are, it's worth noting that most of the time, these infections go unnoticed. A high percentage of people throughout the world live with a worm or other parasite. As close as we may be with these organisms, though, invasion of our central nervous systems is too close for comfort and must always be taken seriously. Good hygiene (meticulous hand washing and wearing gloves), careful and thorough washing of fruits and vegetables, and proper cooking of meats can go a long way in lowering your risk of these conditions. Carpio, A., Romo, M., Parkhouse, R., Short, B., and T. Dua. Parasitic Diseases of the Central Nervous System: Lessons for Clinicians and Policy Makers. Expert Review in Neurotherapeutics. 2016. 16(4):401-414. Finsterer, J., and H. Auer. Parasitoses of the Human Central Nervous System. Journal of Helminthology. 2013. 87(3):257-70. Fogang, Y., Savadogo, A., Camara, M. et al. Managing Neurocysticercosis: Challenges and Solutions. International Journal of General Medicine. 2015. 8:333-44. Hora, R., Kapoor, P., Thind, K., and P. Mishra. Cerebral Malaria—Clinical Manifestations and Pathogenesis. Metabolic Brain Disease. 2016. 31(2):225-37.